1 OWNER CARFAX WITH NO ACCIDENTS! 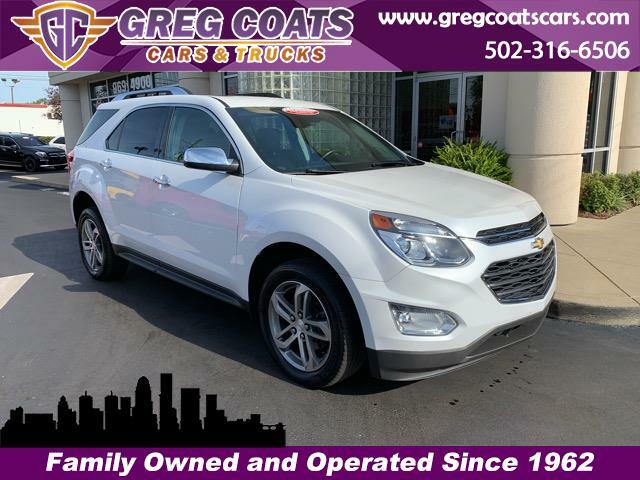 THIS 2016 CHEVY EQUINOX LTZ AWD JUST ARRIVED ON THE LOT, AND ONLY HAS 59,515 MILES! LTZ WITH ALL AVAILABLE OPTIONS! NAVIGATION! BACK UP CAMERA! HEATED LEATHER! SUNROOF! BLUETOOTH! AUX AUDIO! MICHELIN RUBBER! WE have the solution for YOU and your FAMILY! We specialize in selling a like new, late model car, truck or SUV for less, with all types of financing available, and they are all Certified pre-owned! WE have the capability to get you in the automobile of YOUR CHOICE.. BAD CREDIT/GOOD CREDIT/NO CREDIT!? NO PROBLEM! WE HAVE FINANCING OPTIONS FOR EACH INDIVIDUAL CUSTOMER! EVERYONE IS APPROVED! Call us today at 5029694900!